Today millions of users are using the latest version of Windows that is Windows 8 and 8.1 which is currently providing lots of features for their users. In this version you need to enter PIN or the password to access the administrator account but what if you forget your windows password. You think you need to install the new operating system in your computer system to access the services but actually you can change the password with the method with which we are here. 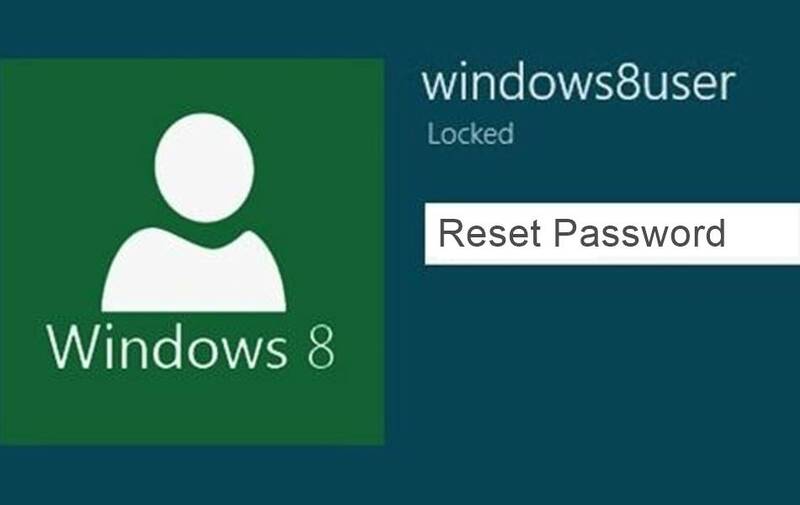 So lets have a look on the method of How To Reset Windows 8/8.1 Admin Password Without Knowing Old Password. Yes it is possible and you can do it with your self by just following a simple trick that i have discussed below. This method is based on Windows 8/8.1 password cracking through other virtual OS that you will run on your computer without actually installing it. With this you will access the internal files of computer and reset admin panel. Just proceed through below steps. First of all you need to create a Linux Live Cd through linux ISO File.Now boot this CD in your computer through boot menu.Now there navigate to C:\Windows\System32.And there rename sethc.exe to sethc1.exe.And rename cmd.exe to sethc.exe.Now simply restart your computer. Now you will see you login screen, simply press shift button five times.You will see command prompt will open.34There type net user and hit enter.14Now you will see the name of administrator account note it down.Now type net user user_name new password and hit enter as shown in screenshots.24Thats it now type the password in login panel and you are logged in.